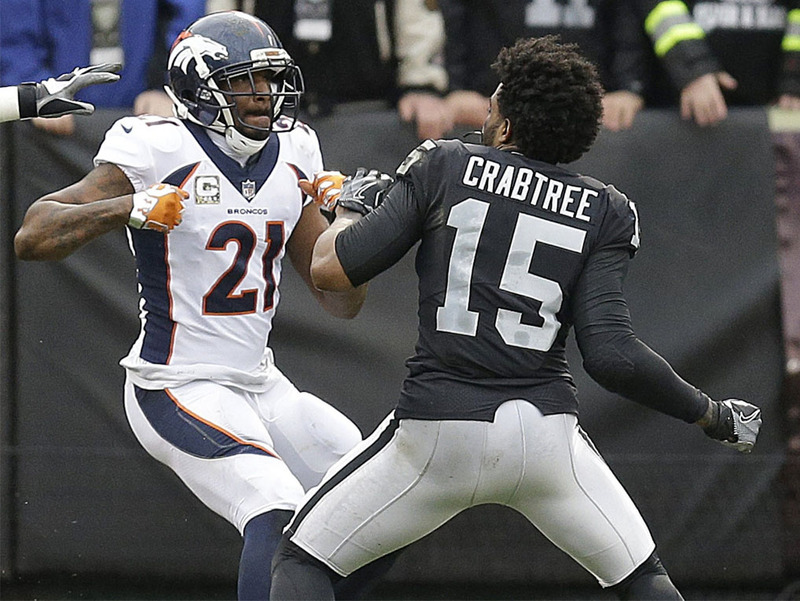 If you’re a sports fan, you know that a brawl of sorts broke out between players of the Oakland Raiders and Denver Broncos when the Raiders’ Michael Crabtree and Aqib Talib of the Broncos got into a fight. Well, Roger Goodell acted swiftly and decisively by suspending both players for two games. Yes folks, that’s the same Roger Goodell who did not and still does not act against NFL players who disrespect our flag and country. “…the NFL just suspended one of their [Oakland] best players for two games for… what exactly? That’s what the NFL said Monday, saying that Crabtree’s actions Sunday have “no place in this game” in a letter to the Raiders’ wide receiver. Why couldn’t Goodell suspend Colin Kaepernick who started the whole show of disrespect? Why couldn’t Goodell suspend the players who followed Kaepernick’s example? And why couldn’t Goodell suspend Olivier Vernon of the NY Giants who was the only player in the league to take the knee during a Thanksgiving Day game? Even Vernon’s lone disrespect on Thanksgiving couldn’t get any reaction from Goodell. But a fight sure did. So now we know that the absence of fighting is much more important to the NFL than a show of patriotism. The NFL players kick the crap out of each other in every game but heaven forbid if two players engage in a little bit of fisticuffs. While fighting is strictly verboten, the same cannot be said for an outrageous display of disrespect to our flag and country. Will Tax Cuts Spur Economic Growth?